The Just for Men Hair Colour Application kit is a gentle formula that is designed to match your hair colour and cover grey hair in just 10 minutes. 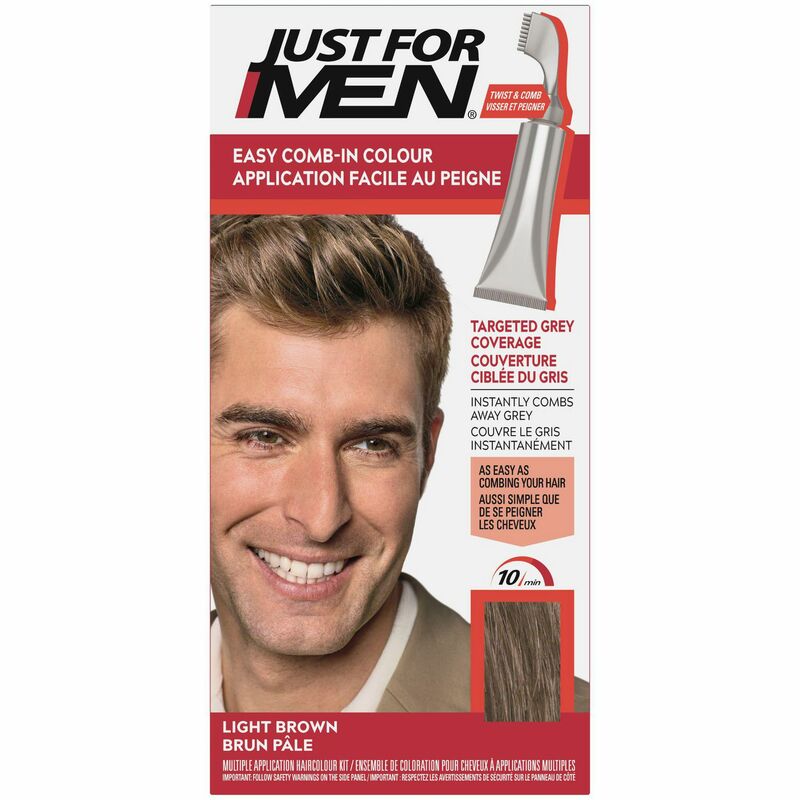 A unique comb-in applicator is included with the Just for Men Autostop Hair Colour Application Kit to help you pinpoint grey hair. This hair colour without ammonia will shut itself off at just the right colour. Simply comb in the Just for Men Hair Colour Kit, let it set for 10 minutes and shampoo it out. 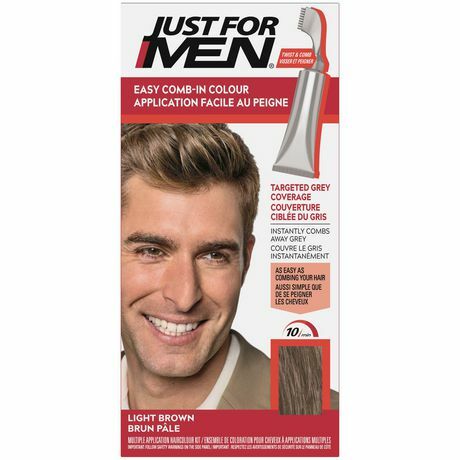 The Just for Men Autostop Hair Colour Application Kit comes in a no-mix tube for ease of application, and it contains no peroxide or ammonia.